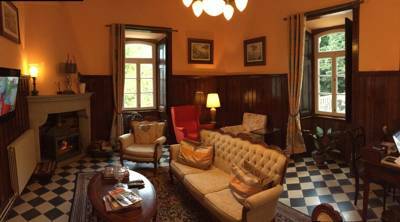 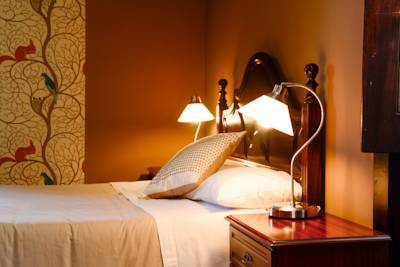 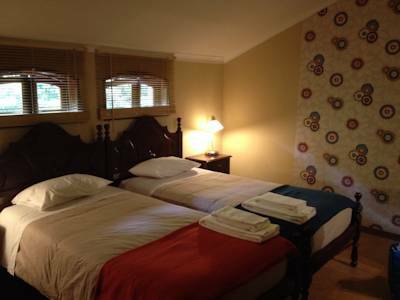 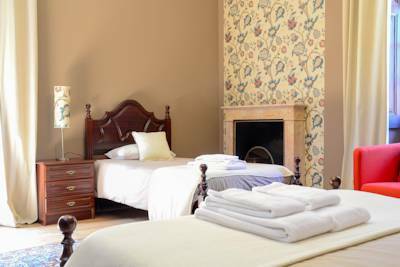 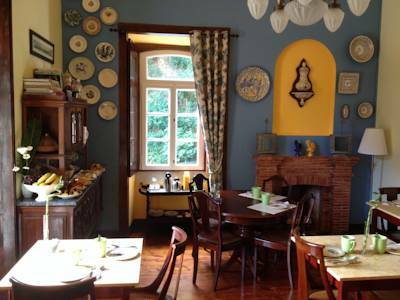 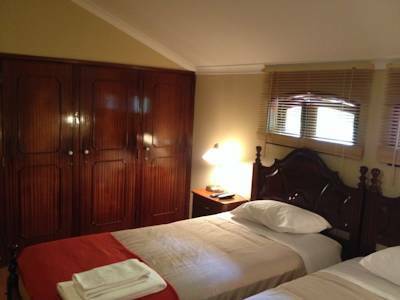 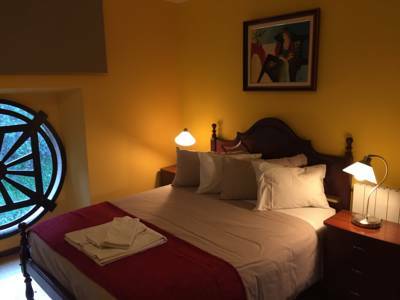 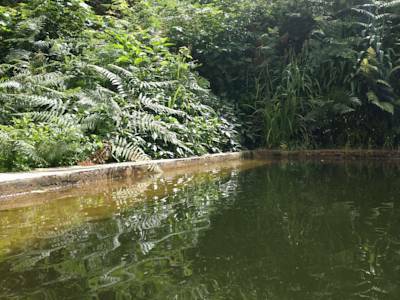 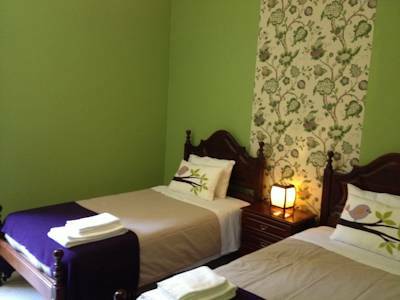 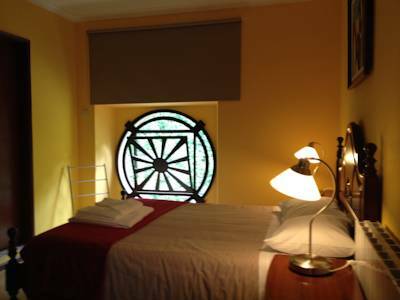 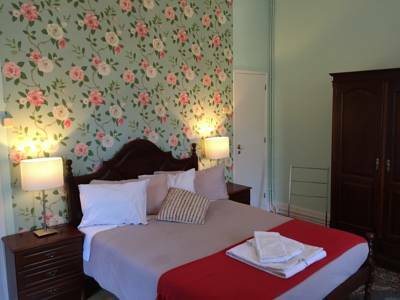 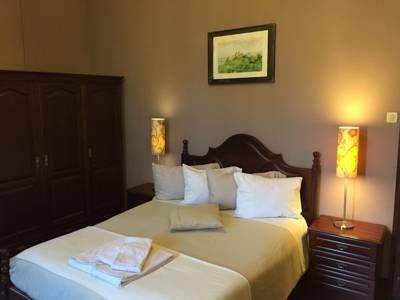 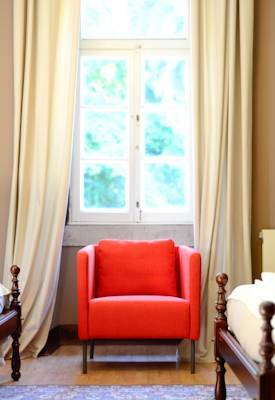 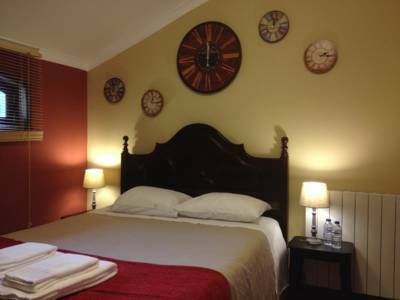 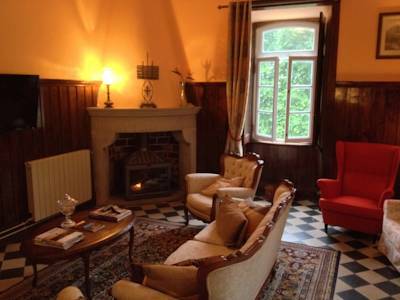 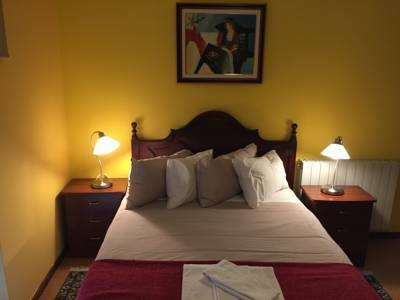 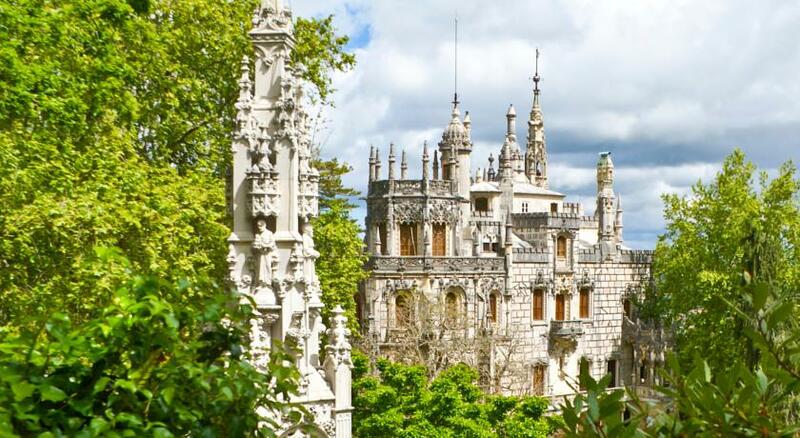 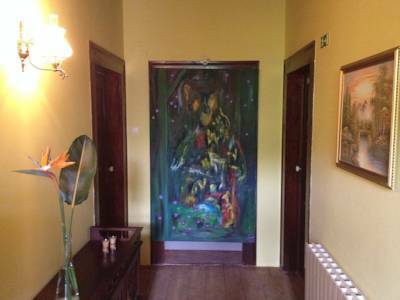 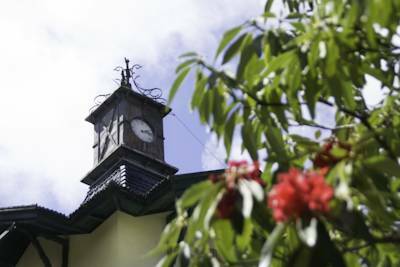 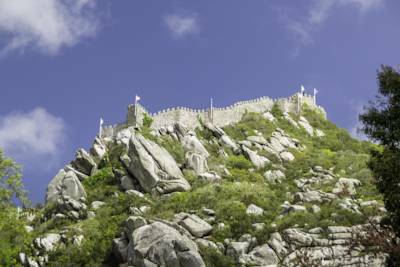 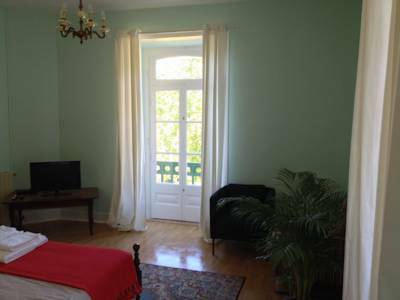 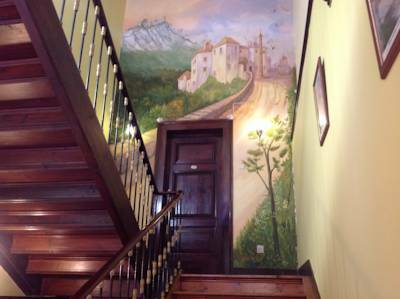 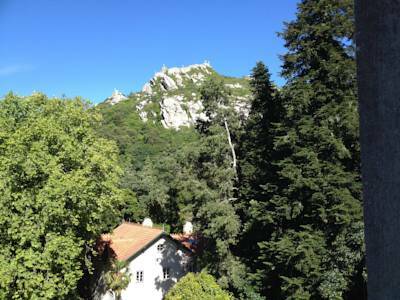 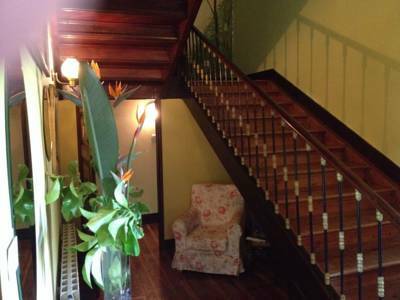 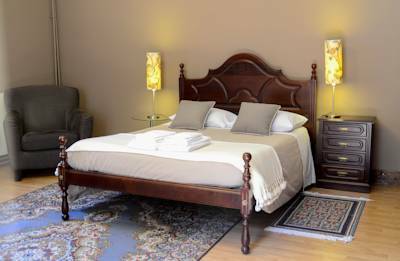 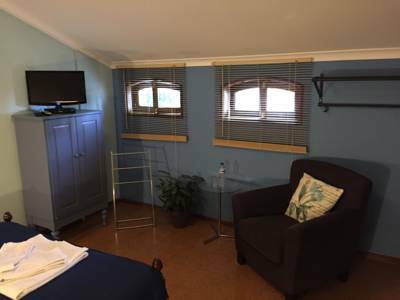 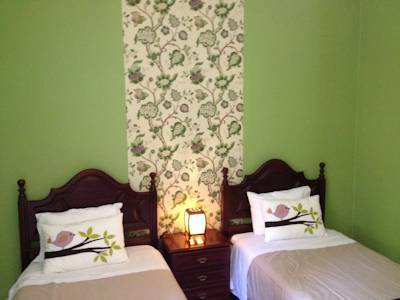 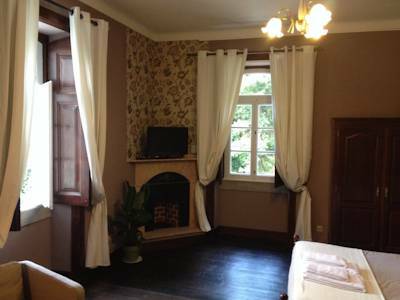 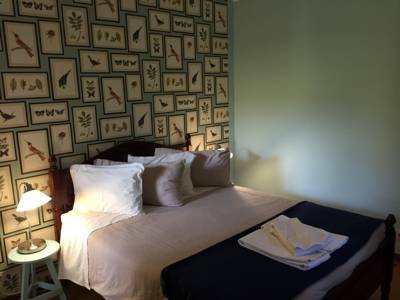 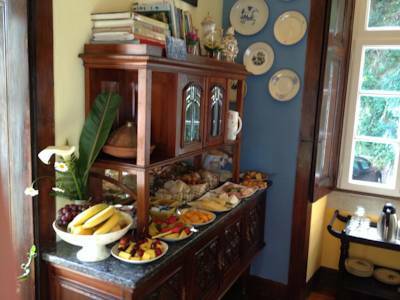 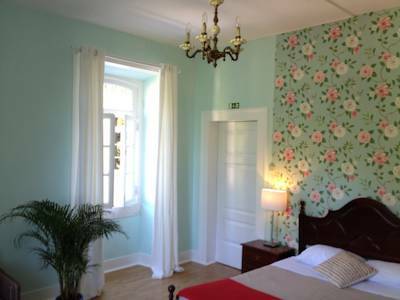 The Chalet Relógio is located in the Sintra Mountains in a very peaceful area, 800 metres from the Historic Centre, on the route to the Pena National Palace and the Moorish Castle. 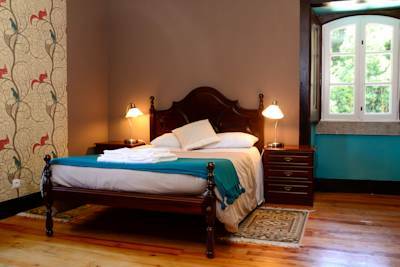 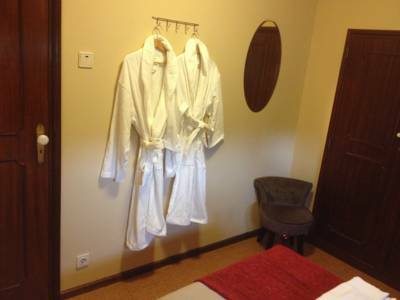 This neo-Arabic style building, with its own architectural value, comprises five double rooms, all with private bathroom, and three triple rooms with private bathrooms. 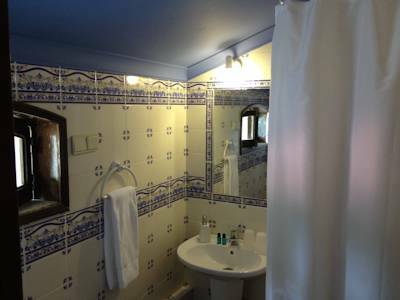 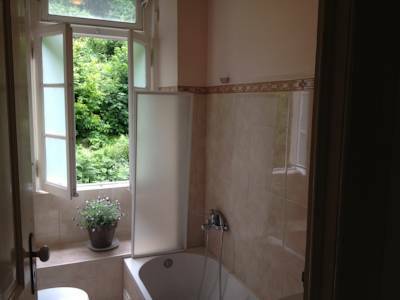 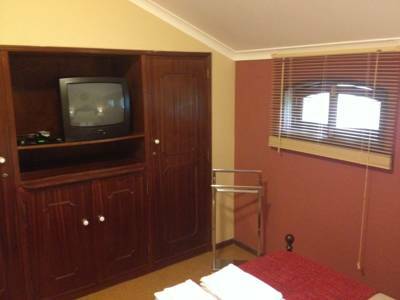 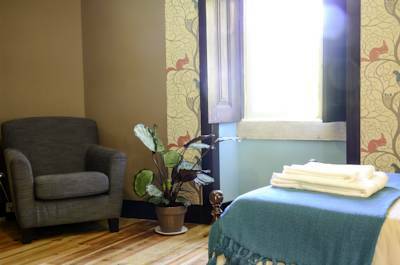 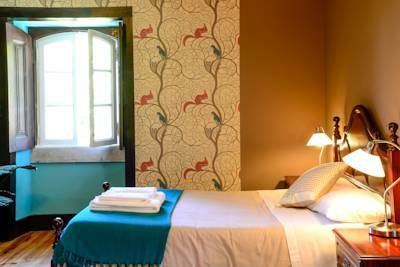 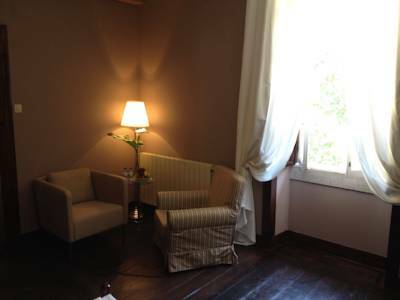 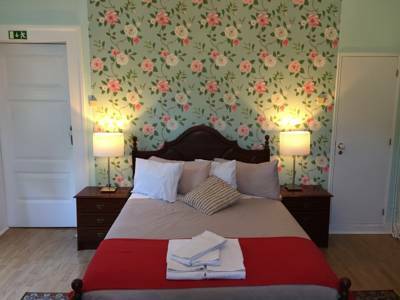 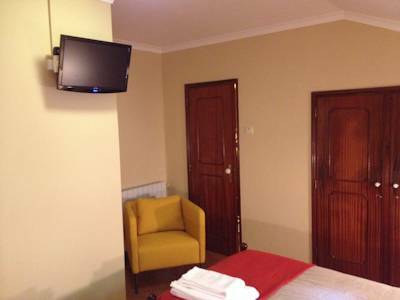 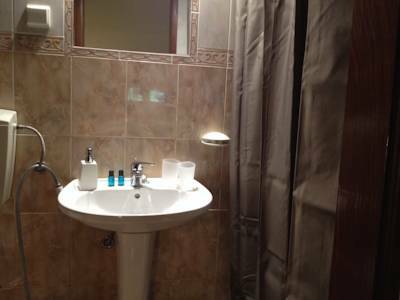 It also features a suite with two bedrooms with private bathroom. 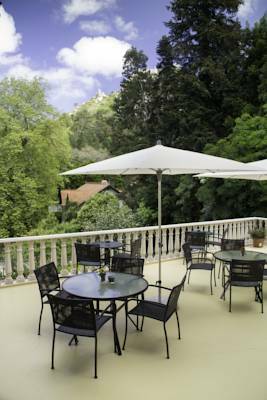 Garden. 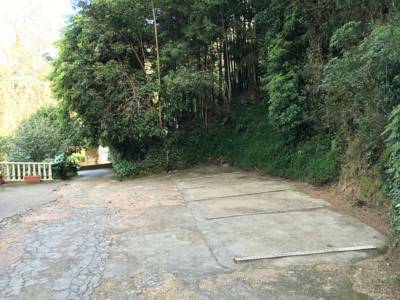 Private parking area. 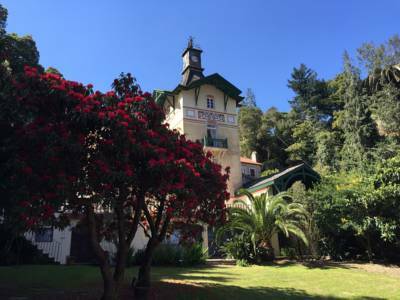 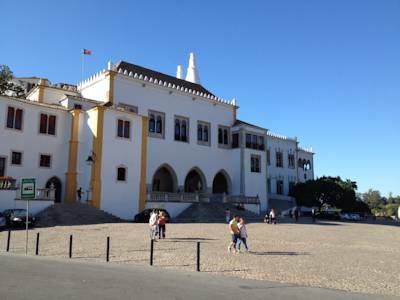 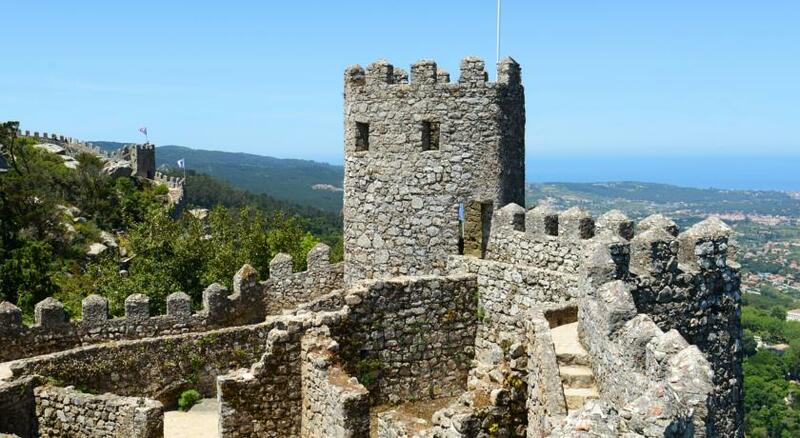 Sintra Inn is an innovative project by the Sintra Municipal Council in association with dozens of promoters from the municipality and with the support of the Lisbon Tourism Association and Turismo de Portugal.